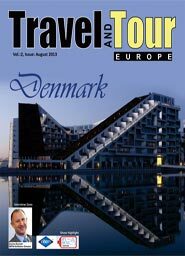 Amidst speculations over the financial crisis in Europe, a number of natural calamities and decreasing internal travel trends, the European Tourism Market is gearing up for a renewed tourism strategy in the second half of 2013. Although the figures from the European Travel Commission (ETC) predicts a rise of 1% to 3% in the tourism growth, the tourism authorities of the European nations should encourage a joint effort from the private sectors as well as public sectors to boost the tourism trends of the continent. 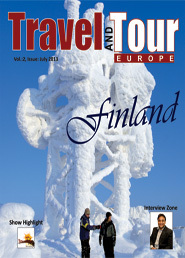 cover story this month, we have tried to see through the minds of the travel-freak business experts and ravelled the secrets of business innovation. Let us know about your travelling experiences through mails and comments. We value your opinion. As the first two quarters of 2013 wraps up, the European Tourism Industry has shrugged off the economic turbulence as it gears up to welcome a record number of international tourists in the last half of the year, be it for business trips or leisure. Last year’s statistics show that despite economic uncertainty in many countries, travel spending is on the rise. UNTWO’s data highlights that intercontinental visits to Europe are on a perpetual high, further boosting the tourism sector. However, the recent trend of travel and tourism suggests a rise in popularity of low cost carriers, budget holidays and alternative types of accommodation including business class traveling and penthouse stays. 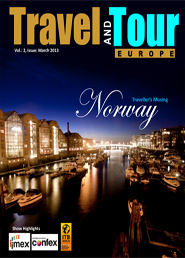 luxurious penthouse apartments of Europe will allure the leisure travelers, while Lausanne, the Olympic capital of the world is featured as our popular city for this issue. united Nations World Tourism Organisation (UNWTO) is optimistic and foresees that global tourism is to grow from 2 to 4 percent in 2013. Although this is a moderate increase compared to last year’s, it is still positive data taking into account the current economic scenario. UNWTO has also predicted that international arrivals would grow by 3-4% to cross the mark of one billion for the first time this year. According to UNWTO, emerging countries in Asia and the Americas, in particular, will contribute to this year’s increase, whereas growth in Europe and North america is expected to continue at a more moderate pace.Even UK tourism shows signs of recovery with Grant Hearn, Travelodge CEO stating: “Our report confirms UK tourism has successfully weathered the recession and outperformed other key sectors, which is great news. However, as one of Britain’s biggest business sectors it deserves the chance to unlock its true potential. We have a real opportunity within our grasp which can play a significant part in helping our economy to recover; our lack of immediate action is costing jobs, growth and investment.” With ITB Berlin and IMEX Frankfurt knocking at the door, travel trade enthusiasts are hoping that the European tourism industry crosses the hurdles that lay ahead in front of them. To know more on IMEX Frankfurt and the promises i holds for the tourism industry check our in depth pre-show analysis of this much revered fair. Browse through our regular sections where we present to you some of the most sought-after destinations idyllic for business and leisure travel. Feel free to write to us, we value your opinions. Keep reading! Wshrugged off economic turbulence as it gears up to welcome a record number of international tourists, be it for business trips or on vacation. Last year’s statistics show that despite economic uncertainty in many countries, travel spending is on the rise. UNTWO’s data highlights that international visits to Europe are on a perpetual high, further boosting the tourism sector. This era she irony is while you can chalk out your dream holiday at the click of a mouse, technology free vacations are fast emerging as tempting escapades in the recent times. It will also be interesting to note that the demand for smaller, less explored destinations has far out weighed the more popular, traditional markets. Keeping that in mind, we decided to take you on a cultural tour of the seldom visited but immensely intriguing Principality of Monaco. That apart, in our ‘City Chronicles’ section, Salzburg is all set to charm you with its inspiring meems to be all about instant, customized, personalized services where technological breakthroughs are heavily influencing consumer behavior patterns. Tusic, innovative architecture and not to forget its splendid alpine setting. Having undergone an exciting makeover, we have come up with a couple of new sections for you to flip through like Discussion, Face-to-Face, Cover Story, Theme Story, Traveller’s Musings and Business Talk. Learn all about the benefits of Medical Tourism and the importance of Green Meetings right from the experts in our ‘Discussion’ column. Hervé Bosquet, Managing Director of Brussels Convention Bureau shares with us the upcoming ventures and goals of Brussels in an exclusive interview. Here is wishing all our readers a very Happy and Prosperous New Year! with the last issue of 2012. Merry Christmas and a Happy New Year!